Yamaha Card Holder Gift, unique gift for all occasions. 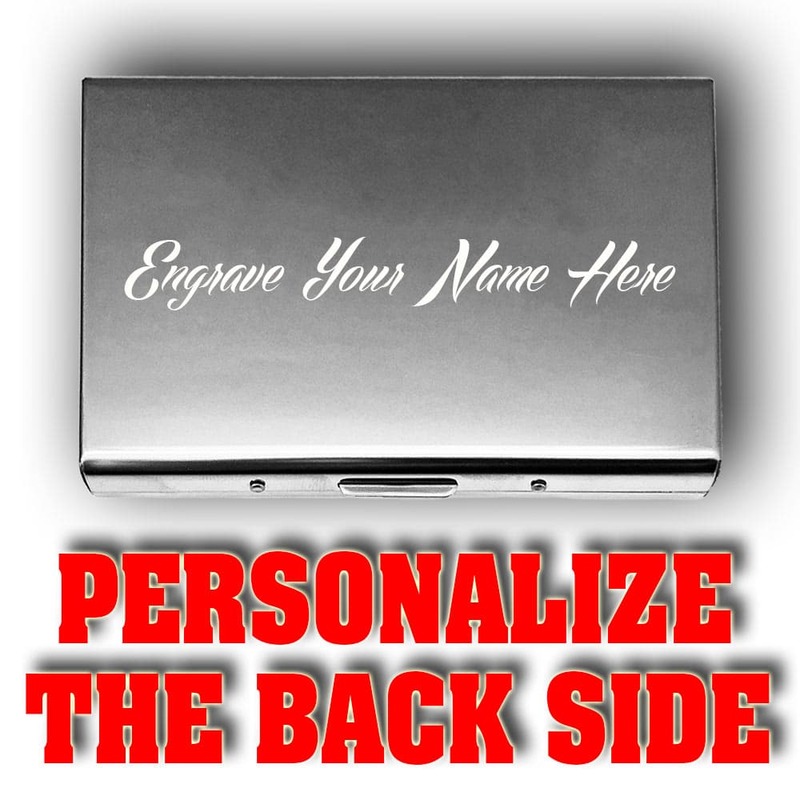 This personalized professionally engraved premium metal card holder is an ideal unique gift choice for a Christmas, birthdays gift, weddings or a great keepsake to yourself. Personalized Yamaha Card Holder Gift, you can customize it with photo and text. This professionally engraved premium metal card holder is an ideal unique gift choice for a Christmas, birthday gift, wedding or a great keepsake to yourself. 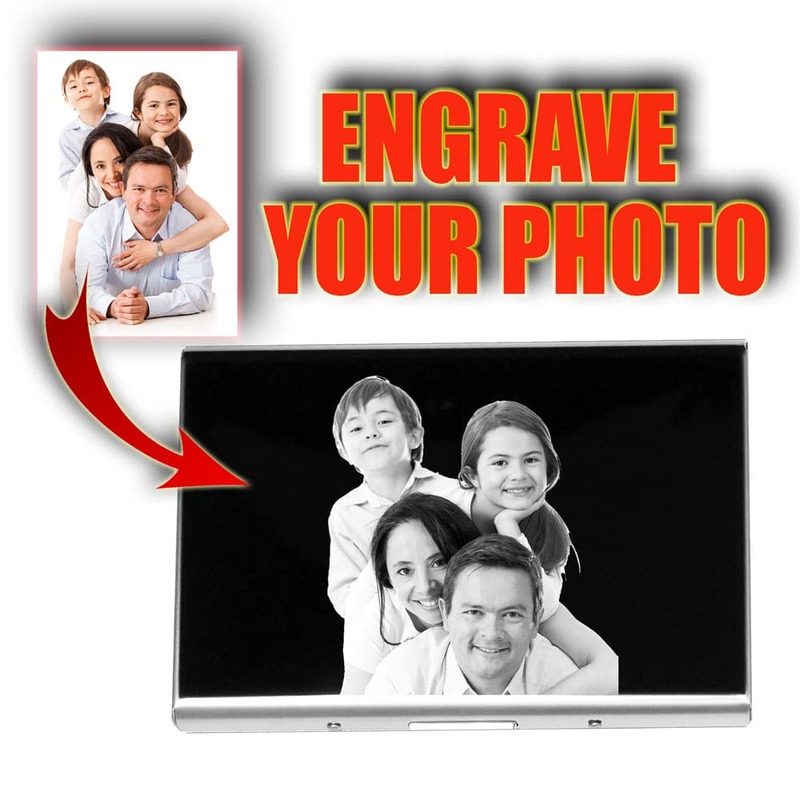 Engrave your favorite photo of your baby, wife, husband, girlfriend, family. This Custom Yamaha Card case can make a great executive gift, you can engrave it with company logos or symbols, it’s fantastic for Corporate events. This Premium quality Yamaha card case present is made of high polished stainless steel. This card case contain 6 folders. You can use it for business cards, credit cards, driving license, id cards and money. You can add picture or text, or both from the menu on the right side of the screen. 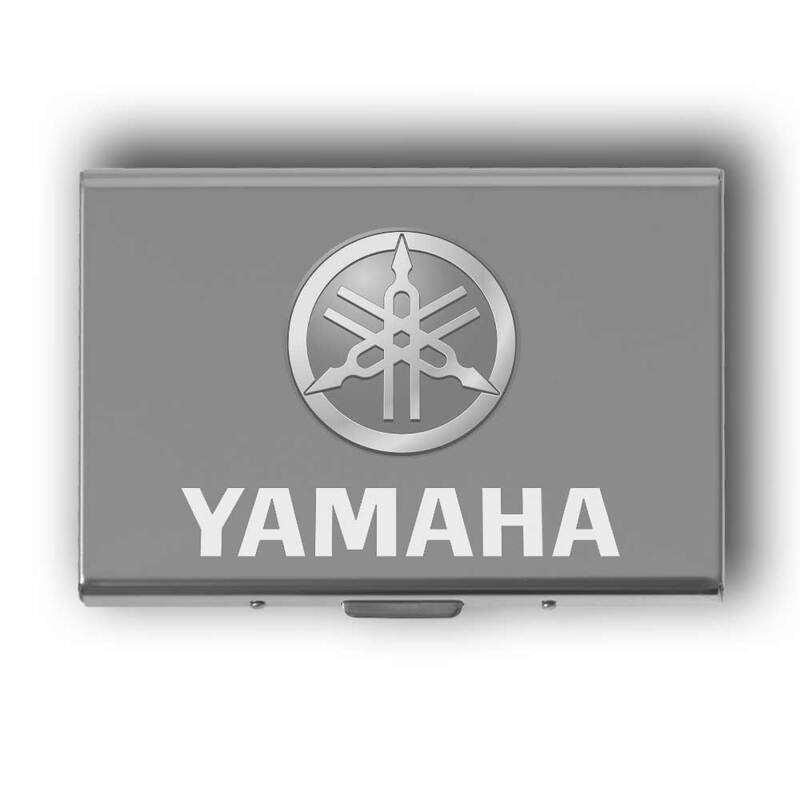 To add a picture to your custom Yamaha card case, click on or drop in an image in the rectangle field on your right. When you have uploaded your picture, you can adjust the size, by using the arrows located on the bottom right corner of your picture. Move them until your picture fits inside the frame. You can adjust what you want to see, just faces or the hole bodies by zooming in and out. You can add text to your personalized Yamaha card holder gift, by pressing the second icon on the right side of the screen, it is the big “A” icon. When pressed a new rectangular field will appear, where you can type your text. After adding your text click on it and select from the new menu window bellow what style you want to be. Then use the arrows on the right bottom corner to zoom in or out, click on the middle of the text if you want to move it and center it.